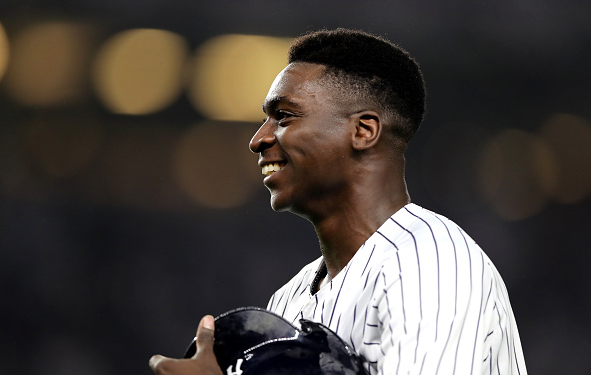 Didi Gregorius appeared on “Inside Pitch” on MLB Network radio early Wednesday and gave some updates on his rehab from Tommy John Surgery. “I’m feeling pretty good. Things are going so good so far. All of our rehabbing stuff going good, going great. Just waiting to be back out there on the field,” Gregorius told hosts Jim Memolo and Todd Hollandsworth. Sir Didi showed an eagerness to be on the 2019 Opening Day lineup, although he understands that a major injury like this takes time. Luckily, the recovery time for position players is significantly less than pitchers. Gregorius could be back as early as July. Gregorius has not been given an official timetable to return.